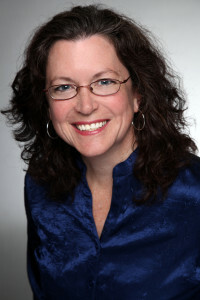 Sandy Hilton is the co-host of the Pain Science and Sensibility Podcast. Sandy graduated with a Master of Science in Physical Therapy from Pacific University in Forest Grove, OR (1988). She received her Doctor of Physical Therapy degree from Des Moines University in 2013. Sandy has contributed to 2 chapters, 2 papers, and a book on pelvic pain and what we can do about it in the clinic. She is an international instructor and speaker in the US, Canada, and at the NOI2012 conference in Australia. She is a contributor for blogposts at entropy-physio.com as well as for Body In Mind on subjects that include pelvic pain, resilience, and conference proceedings. Sandy is co-owner of a private physical therapy practice in the Lincoln Park neighborhood of Chicago, IL. She has been the Director of Programming for the Section on Women’s Health of the American Physical Therapy Association since 2012. In her spare time Sandy is a stand-up comic and a story teller in Chicago and is working on her improvisational skills at The Second City Training Center.